SAN FRANCISCO -- Amid all the talk of Apple Watch, a new MacBook laptop and a partnership with HBO, a set of Apple tools aimed at promoting medical research didn't get much attention. The tools, called ResearchKit, promise to help researchers study asthma, Parkinson's and other diseases by recruiting test subjects through iPhone apps. These tools could give researchers more data to work with by making it easier for people to offer themselves up to science, but even supporters say the data won't be appropriate for every study. Test subjects are often picked because they happen to see a doctor involved with a study or are lured by ads promising cash. That excludes a lot of people who might otherwise qualify. With ResearchKit, anyone with an iPhone can potentially participate. Researchers set criteria. One study on how breast cancer survivors cope requires participants to be breast cancer survivors. 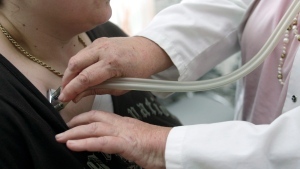 But a study on Parkinson's disease wants data from the general population as well for comparison. "Most researchers will tell you recruiting and sample size are one of their top concerns and challenges," says Jeff Williams, Apple's senior vice-president of operations. "We see huge opportunities with hundreds of millions of iPhones users, many of whom would gladly participate if it's just easier to do so." Another advantage: Researchers can collect data throughout the day, rather than only during periodic office visits. Researchers use Apple's ResearchKit tools to create an app. An iPhone user who wants to participate downloads that app and fills out a questionnaire to determine eligibility and establish a base line for further comparisons. Users will also learn more about the study so they can give consent. The app will tell accepted participants what to do. In the Parkinson's study, subjects will be asked to tap on the screen, speak into the microphone and walk several steps to gauge progression of the disease. Some research apps will be able to tap data from other apps, such as those for fitness trackers. Apple says participants will be able to decide whether to allow that. The company doesn't see any of that data. Apple, naturally, designed the tools to work with iPhones. But the company is making ResearchKit's "secret sauce" open for anyone to see and modify. Someone could adapt ResearchKit for Android. There's potential bias whenever people actively choose to participate in a study rather than being asked at a doctor's office. For instance, if you're motivated enough to step up, you also might be more motivated than others to follow a fitness regime. Then again, it's easy to download an app -- and many participants might drop out once the novelty wears off. Ray Dorsey, a University of Rochester neurology professor involved with the Parkinson's app, also says researchers will have to weigh the benefit of getting more participants and more data against not being able to see participants in person. In many cases, the ResearchKit studies will only supplement more traditional research. Researchers do have the option of recruiting participants via traditional ways and then using the app to collect data more frequently. Kathryn Schmitz, a University of Pennsylvania professor involved with the breast-cancer app, says the apps will never be appropriate for some types of research, such as surgical follow-ups. But she says ResearchKit could help with many common ailments involving heart disease, obesity and diabetes, as apps could be used as an objective tracker of lifestyles. Apple worked with five groups of researchers prior to Monday's announcement of ResearchKit and released five apps aimed at studying Parkinson's disease, asthma, diabetes, cardiovascular issues and breast cancer. 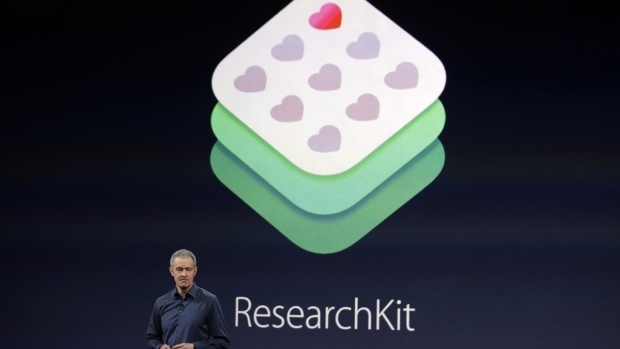 Other researchers will be able to start using ResearchKit next month. It will take time to see scientific results. Some of the early efforts are about gathering preliminary data -- and tailoring more specific research from there.